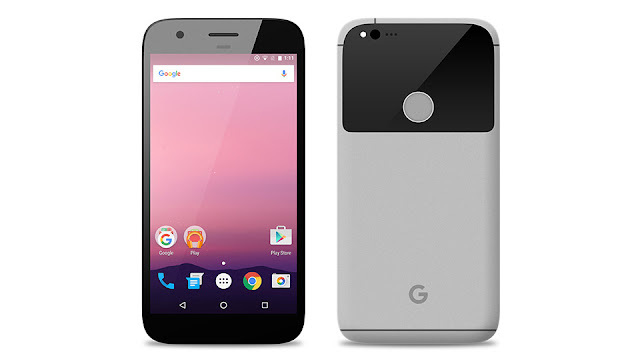 Google's New Pixel Phone and What it Means For Mobile SEO? Google’s new Pixel phone comes preloaded with Google assistant, the successor to Google Now. Check out why we think Google Pixel and its voice search will change mobile SEO as we know it. The Google Pixel is poised to make a big splash in the upcoming holiday battle for smartphone supremacy. It’s the search giant's first significant move in the smartphone market since the introduction of the Nexus phone line. Critics are praising the Pixel, and coming away especially impressed with Google assistant; Google’s replacement for the Google Now platform. Google is calling it, the “next evolution” of Google search, indicating serious confidence in the future of voice search. Though, it’s not surprising to see voice search hailed as the next big thing. After all, both Apple and Amazon are pushing their own voice assistants. Based on the market trends, it’s a safe assumption that voice assistants are catching on fast. Their growing popularity has us wondering what effect they’ll have on traditional text search. If people are moving away from text search in favor of voice assistants, will mobile SEO techniques change? We believe they will. How, we’re not exactly sure. Though we do have our own theories. Let’s take a look at what we can say with confidence is likely to happen in the mobile SEO world as voice assistants gain traction. Voice search and text search work differently. Google assistant is aimed at functioning as your virtual assistant. This means interacting in human like ways. It won’t return a list of answers, but rather the “best” answer in a conversational tone. This means your website isn’t likely to appear every time Google assistant returns an answer. In fact, it probably won’t return nearly as much as it currently does, due to Google’s new emphasis on local search results. The Possum update showed us that local search is a major part of Google’s strategy moving forward, and their local shift makes sense. Mobile search analysis has shown that 4 in 5 consumers conduct local searches on search engines. Of these consumers, 88 percent admitted to making these local searches on their smartphone. Location based SEO is likely to become a vital new strategy, if only to comply with Google's new love for local search. We just mentioned that Google is focusing their voice assistant strategy on local search. Bing explains why, revealing that half of voice searches have local intent. We know, Google isn’t Bing, but consumer intent doesn’t vary much across identical platforms. So how do you cater to local search results? Luckily for us, Google already runs a program that lets local businesses improve their SEO. They call it, Google My Business. You provide Google with basic information users want; street address, phone number, web address, and store hours. Google then draws from the information and combines it with accurate gps results to return voice search answers. The more relevant information Google has on your business, the better chance of returning in a voice search. It’s too early to tell, but Google assistant doesn’t look like a platform that paid search results will translate to. Again, the nature of voice search and text search are too different. Google assistant will return the best result to answer your question. Paid search results would effectively negate the need for organic traffic. If paid results will always return above organic traffic, large companies will simply outbid small business for results. We don’t think Google will go this route, but it’s something worth monitoring as voice search evolves. All signs point to voice search sticking around for the long haul. We’re ok with this, and think the potential for voice assistants to revolutionize mobile SEO is fascinating. However, the evolution of search makes it all the more important to monitor mobile SEO and stay one step ahead of the competition.